As we approach Christmas I am excited for Alice to have her first Christmas where she is actually aware that something is happening. Because of this increased awareness of gifts, (and things that are hers) that comes with being almost 18 months old, I have been way more thoughtful about her gifts and what she will love! With this, I have had a lot of joy in choosing for her things she can play with and enjoy, all whilst building her confidence and skills. At the top of the list has always been a Playmobil Noah’s ark, followed closely by a little toddler bike, and then a doll or something similar since she has taken a shine to Megan’s! I think all of these things will be so lovely for her and are things that grow with her and will be used for a good couple of years! The Doll and playmobil are very straightforward, however when it comes to a bike suitable for her age I have wondered, which would be most suitable?! 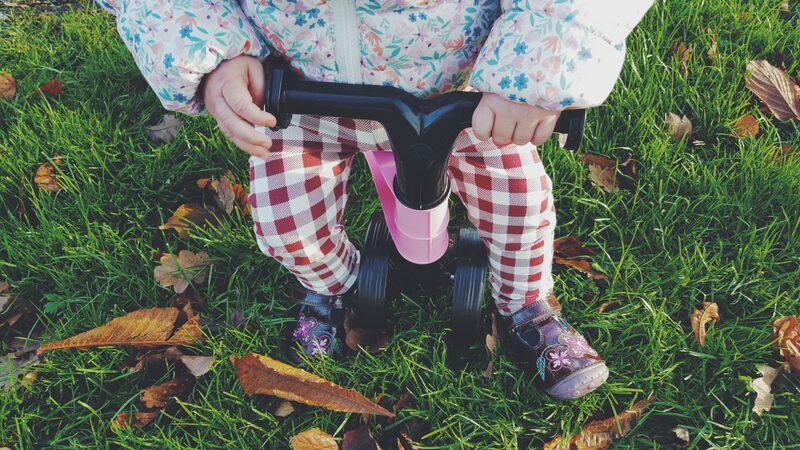 We have been excited to review with her (and then hide away before the kids get home) the Toddlebike2, and have found it to be a lovely little toy for toddlers with great benefits. 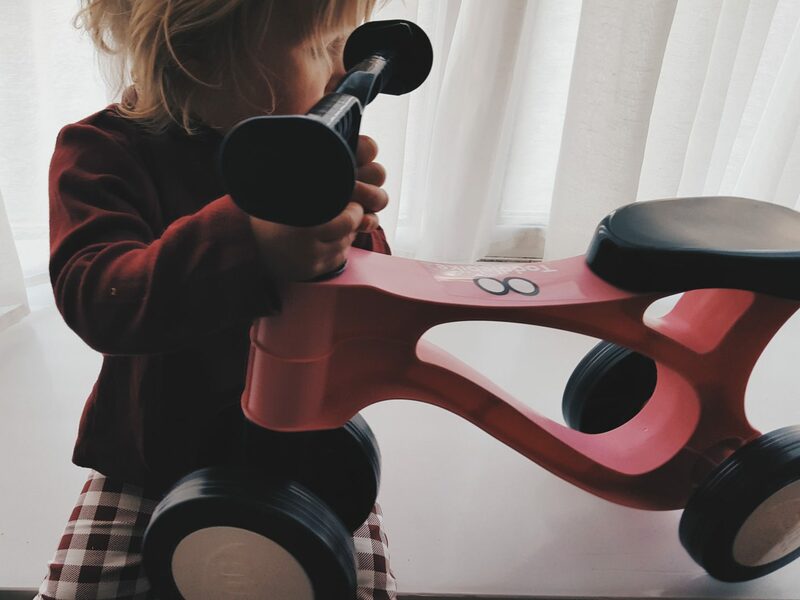 The Toddlebike2 is a unique pre-balance bike for ages 18 – 36 months and will certainly make a great Christmas or birthday gift for the little tots in your life. Available in 3 lovely colours (red, pink, blue) it is fun looking and there is something for everyone. They are really reasonably priced too at £23.95 which I think is brilliant. 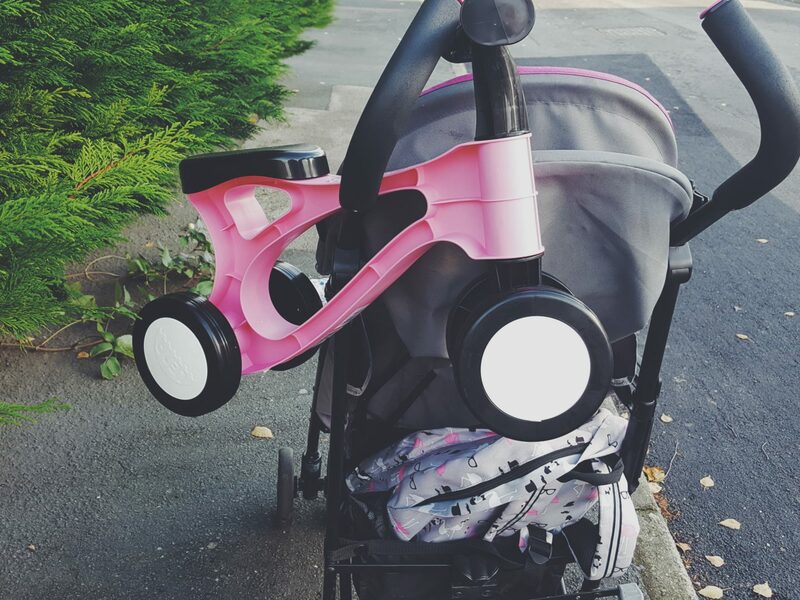 Whilst Alice already has a scuttlebug she has inherited (and I only bring this up as I am sure many will think they have no need for this as well), the Toddlebike2 is a lot different, as it is specifically designed to be more like a real bike and give the child their first cycling experience. 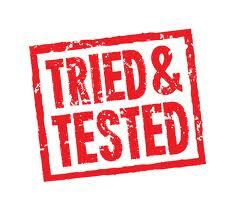 I absolutely love it for its simplicity, and that it promotes balance, is light weight and easy to clean. It is suitable for both indoor and outdoor use, and over all terrains so gives them lots of practice! It fills the gap from the baby ride on toys they have outgrown to the age when they can handle a balance bike or scooter. As I said one of its great features (aside from being a pre-balance bike) is that it is super light (like under 1kg light) and so can hang on the buggy when out and about, be easily carried to the park, or the best part for Alice – she can easily manouver it and move it around the house when she isn’t on it too (goodbye frustrated tot). It really has been thought about from the perspective of little one and you can see how well it fits into their life. She loved riding it, carrying and pushing it. When Alice first saw it she shouted some delightful gabble at it and then was itching to have a go! She sat on it and grinned, and then began shuffling around the room! She struggled a little to get her leg over the cross bar, but it doesn’t phase me because with practice I know she will tackle it – I just see it as promoting her problem solving skills! I loved after we had been out on it, I could so easily wipe it clean and when she wanted to walk, we could easily carry it! 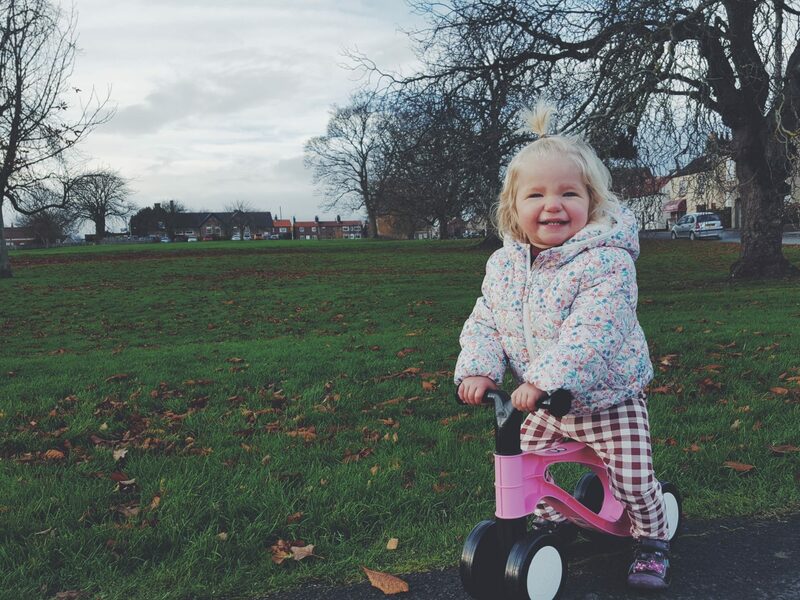 She has had lots of fun both inside and out trialling this, and has found great delight in her new toy bike! 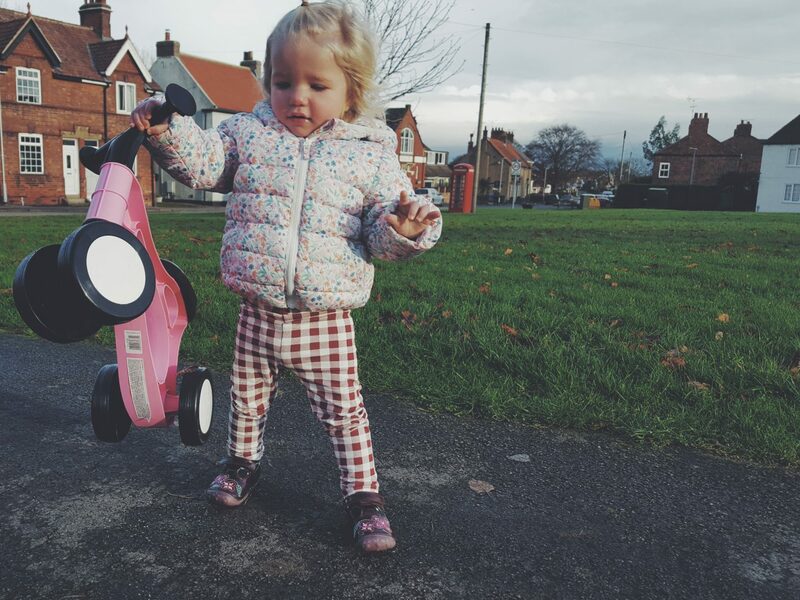 I loved watching her toddle along with it across the village green, and chatter away as she went. 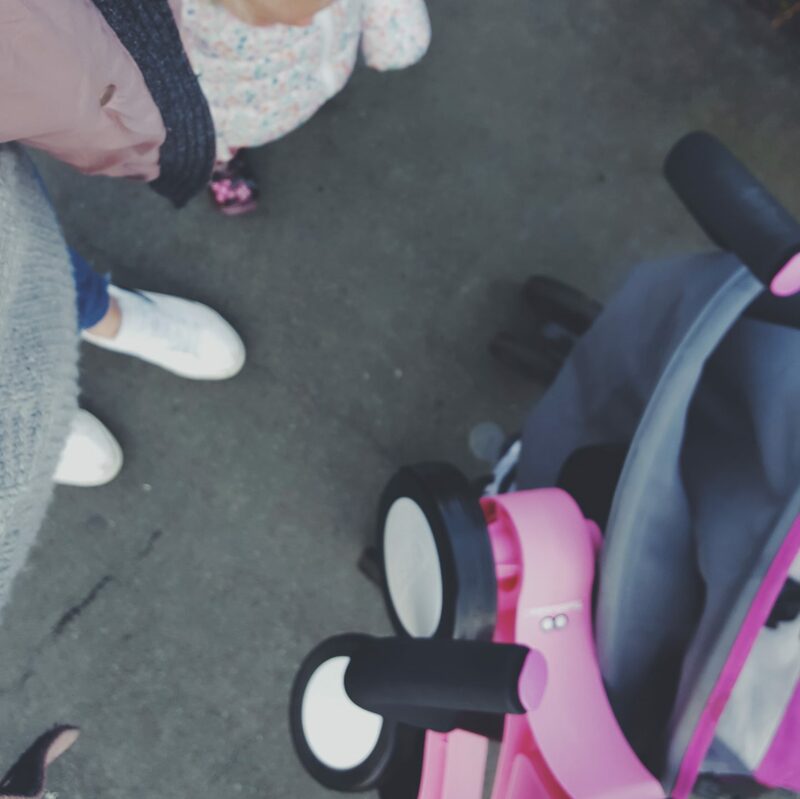 As it hung on the buggy she would periodically turn to check it was still there, and give it a reassuring pat, and then as we walked she kept pointing at it and smiling! 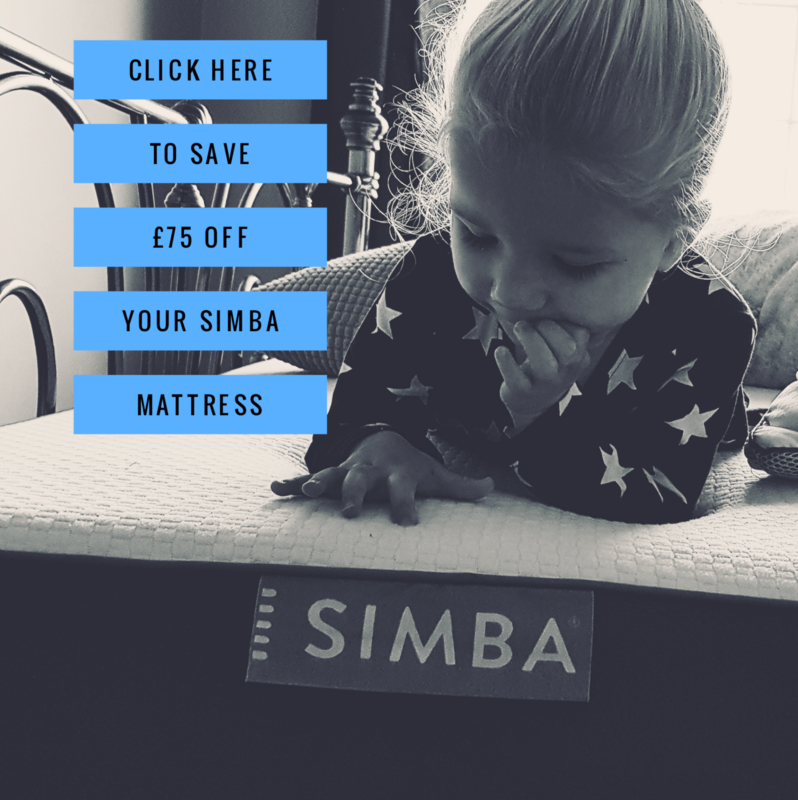 Yes it’s safe to say it gets the thumbs up from Alice, and me… she loved being on it…so much so that she wailed a little when it went away for Christmas! 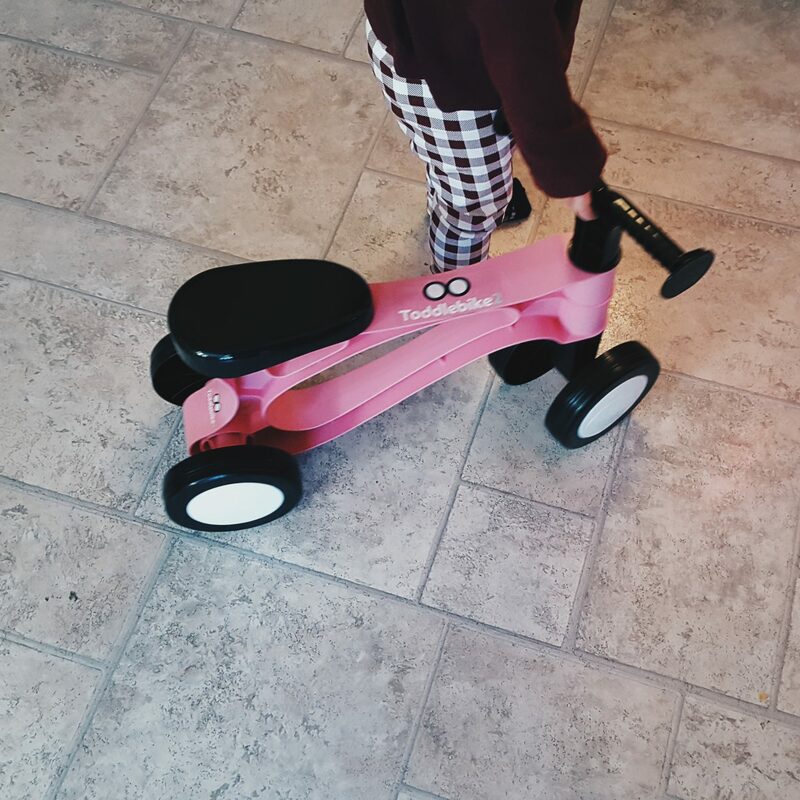 I am really pleased to have discovered the Toddlebike2 as it is perfect for kids around Alice’s age and a little older too. 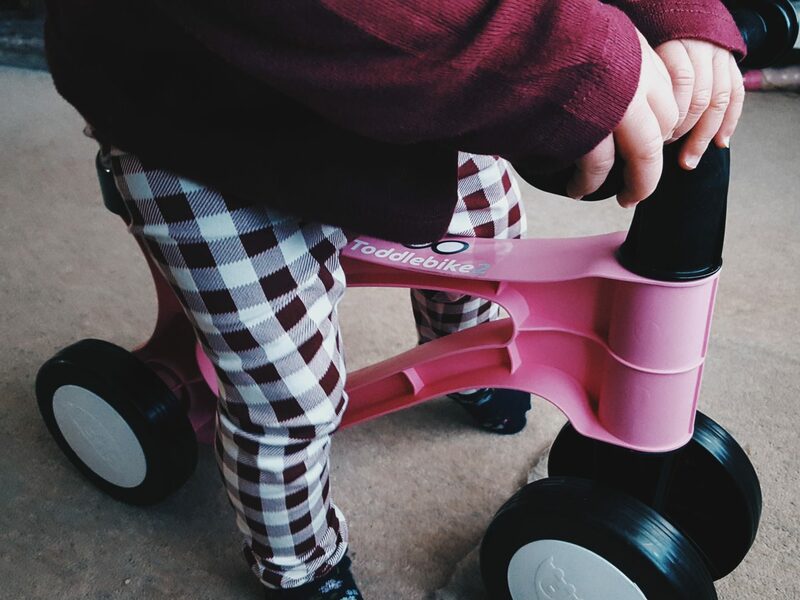 It has great benefits; promoting balance, steering and confidence and is something that will teach her all of the skills she needs as she grows into a preschooler and towards a balance bike. For now though I look forward to getting it out again on Christmas morning, seeing everyone’s excitement (especially hers), and for it to become a daily part of her life to have fun on and master! 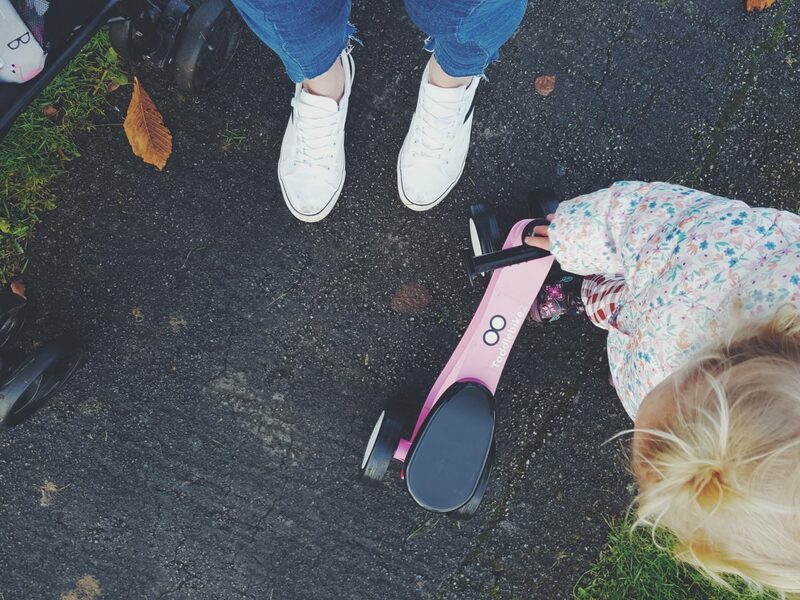 If you are looking for a fun and yet practical gift that will last a good year or 2 for your tot, then give them a Toddlebike2 this Christmas! Hours of fun and adventure await for them in their little world whatever the weather!! 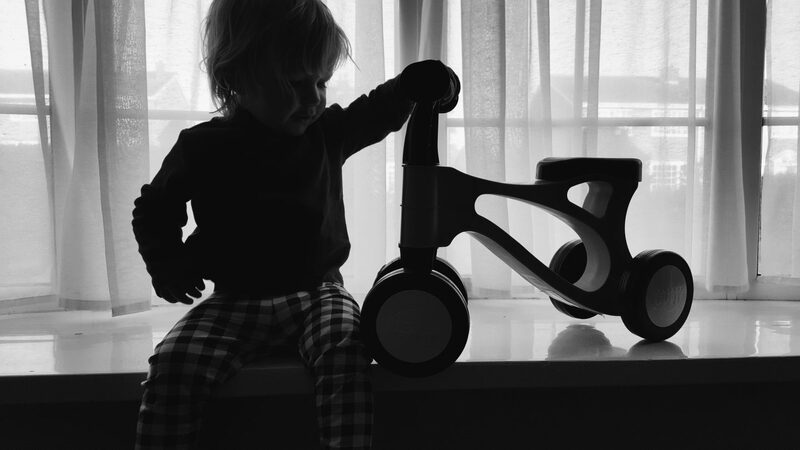 *We were sent the Toddlebike2 for the purpose of this review! All thoughts and pictures are my own. Previous Post The Ordinary Moments 2017 #36 – Seeing Santa! This looks so cute, I love the colour. 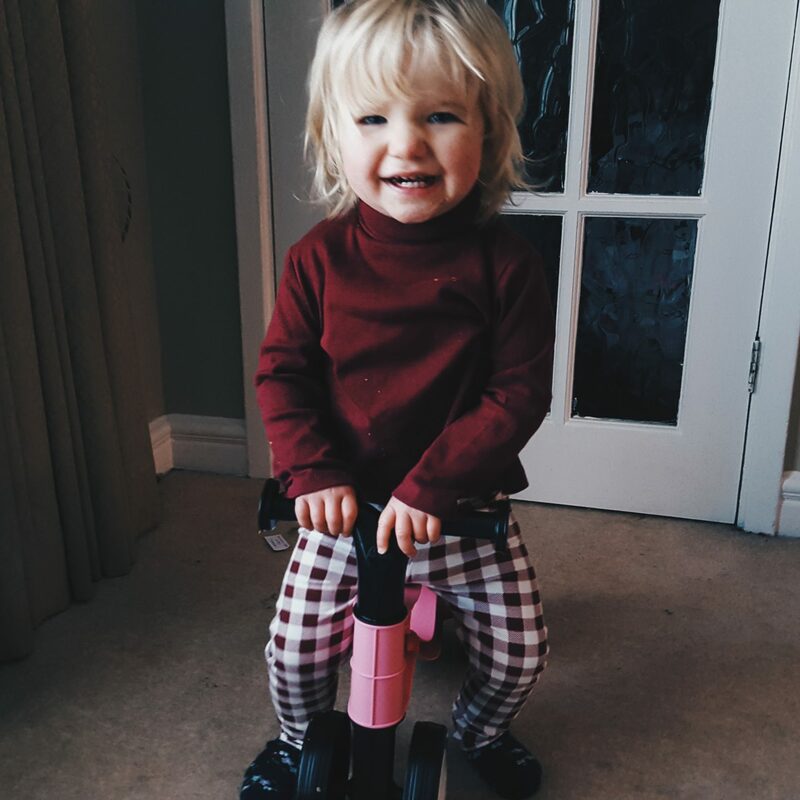 My daughter has a balance bike and she loves it, I reckon she would have loved the toddle bike had a know about them when she was younger!